A modern glass golf plaque trophy with clean lines and a crisp finish. 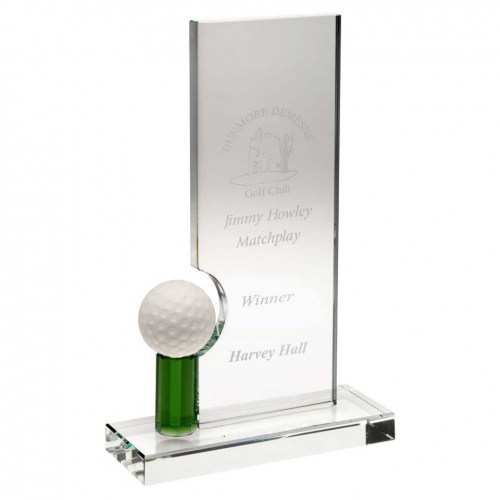 Featuring a clear glass plaque in a tall rectangular shape, with a semi-circular cut-out to house a glass golf ball set on a green glass stem. These stylish golf plaques are available in three sizes and offered with text and/or logo engraving options. Each plaque is supplied in a quality presentation case.